The size of a salary depends on a teacher's category. The Cabinet of Ministers at a meeting on Wednesday decided to raise the salaries of teachers since January, the government web portal reported. In absolute terms, salaries will range between 6,500 and 8,500 hryvnyas [228-298 dollars], depending on the category. At the same time, Prime Minister Volodymyr Groysman said it was necessary to work with local authorities to raise salaries for teachers that are financed by local budgets. The amended version of the law on education provides for a phased increase by 2023 of the official salary of a teacher to three minimum wages, which is currently set at 3,723 hryvnyas. In 2017, the salaries of teachers of general education schools grew by about 50%. 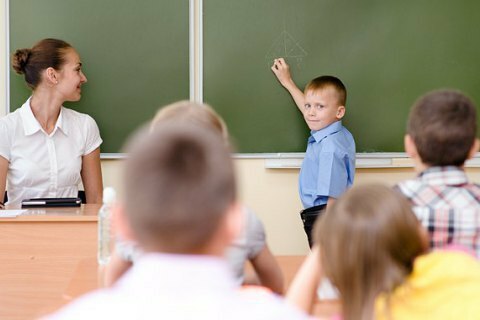 Teachers of the top category began to receive about 6,500 hryvnyas in parallel to the rise in the minimum wage and promotion of teachers two tariff categories up – from 9 to 12 classes to 11 to 14.